They can predict death in "Game of Thrones": "She does not hit randomly ..."
Romane Beaufort and Lucas Melissent, a statistician and mathematician, have developed a model to predict the death of "Game of Thrones" characters. based on their characteristics. Romane Beaufort and Lucas Melissent, statistician and mathematician, have developed a model to predict the death of the characters of "Game of Thrones" based on their characteristics. These are not fans like the others. 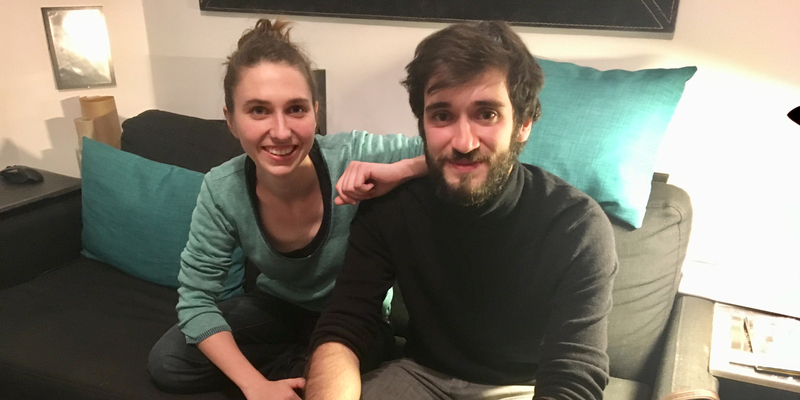 While airing the first episode of Game of Thrones' final season at 3am on the night of Sunday to Monday, our reporter Martin Feneau spent the night with Romane Beaufort and Lucas Melissent, respectively statistician and mathematician, who put together a model to predict the death of the characters in the series. For a full year, these two fans watched and replayed the episodes of the seven seasons of the series to gather information and compile them into a database. And they came to a conclusion: "There are things that influence death in Game of Thrones, it does not strike at random ..." says Romane Beaufort. "We have 400 characters, we took 20 characteristics to define each of them, as his place of birth, his nobility or his wealth". "Our model can create a robot portrait of the characters who die during the series"
"It's 20,000 boxes to fill in a database and the model will combine characteristics with dying," says Lucas Melissent. "Finally, he can create a robot portrait of the characters who die during the series," summarizes the statistician. Much more than a fad of fans a little too much on the teeth waiting to know the end of the story, the work of Romane Beaufort and Lucas Melissent is taken very seriously. The couple also gives lectures, such as Monday afternoon at the Sorbonne, faculty that has already hosted the end of 2018 the trial of Cersei Lannister, emblematic character of the series. According to the model, it appears that the most famous characters of the series should survive. But beware, these are just probabilities, there may be surprises. The only certainty about the death of the characters is given by Cersei in the first season: "When you play the game of thrones, you win or you die There is no middle ground". Understand: "In the game of power, we win or die, there is no in-between".